KABUL PROVINCE – A full-colour image of the human body is beamed on the screen. Heavy drapes block sunlight and all that shines in the classroom are the tips of ballpoint pens as the young women furiously take notes. The dull walls are brightened by a tapestry of posters on health and physical fitness. The instructor uses a pointer to explain the image, pausing from time to time to gauge students' understanding. This is a typical Monday morning in SEHAT's Community Health Nursing Education (CHNE) class. 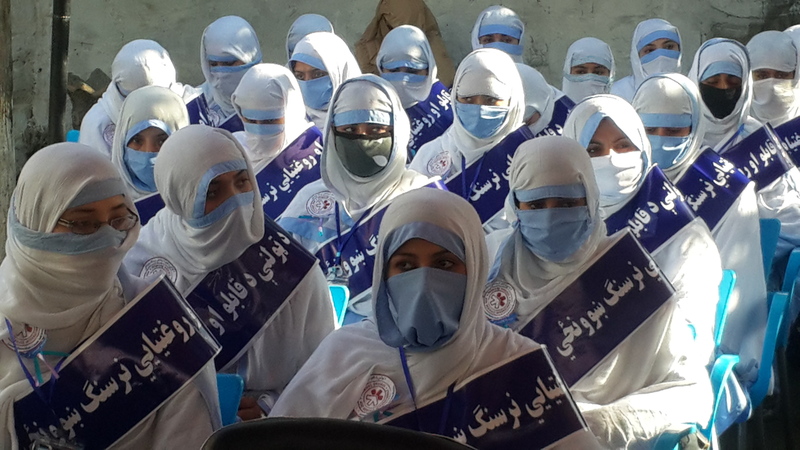 Women from 13 different districts in Kabul Province are undergoing intensive training to become fully trained nurses when they graduate the following year. They are part of a systemic intervention to train midwives and nurses by the System Enhancement for Health Action in Transition (SEHAT) programme to increase the capacity of health staff to deliver a basic package of health services. SEHAT, under the umbrella of the Ministry of Public Health (MoPH), aims to expand the scope, quality, and coverage of health services provided to the population, particularly for the poor. It is supported by the International Development Association (IDA), the World Bank Group's fund for the poorest countries, and the Afghanistan Reconstruction Trust Fund (ARTF), in partnership with multiple donors. The nursing classes run in parallel with the Community Midwifery Education (CME) programme. The aim of both programmes is to train and empower Afghan women to take on a more proactive role in their country's development story. The current batch of students in Khoshhal Khan, in the western part of Kabul city, is made up of 24 CHNE and 25 CME students. "They are all eager to finish their studies next year and start work as full-time nurses and midwives," says Dr. Khalil Omar, the technical manager of Move Welfare Organisation, an Afghan non-governmental organisation (NGO) providing health care and training services under SEHAT. "It is my ambition to study nursing," says Parisa, a CHNE student from Farza district. “We learn theory as well as do practical work. I have already learned a lot from this programme and want to take up a job in a health centre." But it is not only ambition that drives the students, many are eager to make a difference. "When I was 14, a woman died during childbirth in my village in Zargar valley," says Berishna, 21, a midwifery student from Paghman district. "Since then, I decided to become a midwife and help women. Now, I am studying midwifery and would like to serve my people." Once they graduate from the two-year training programmes, the women are expected to join their district health centres to deliver the basic health package and care for female patients. The training programmes will go a long way in addressing the shortage of female health workers in the country, says Dr. Omar. "The shortage of female health workers is an obvious problem for health services delivery in every province of Afghanistan," he points out. "In some cases, the female health workers are not from the same district and this leads to a capacity problem when they go on leave to visit family. We are left with no choice but to close the midwifery section on such days. Even in Kabul, there is a staff shortage, especially female health workers." Under the SEHAT programme, Move Welfare Organisation is contracted by MoPH to implement the basic package of health services in 42 health facilities across the 13 districts of Kabul Province. The contract is one of several performance-based partnership agreements between MoPH and NGOs to deliver defined packages of basic health services and essential hospital services under the SEHAT programme. The provision of services by NGOs is monitored through the regular health management information system and a third party. First of all, Afghanistan needs improvement in its health sector. 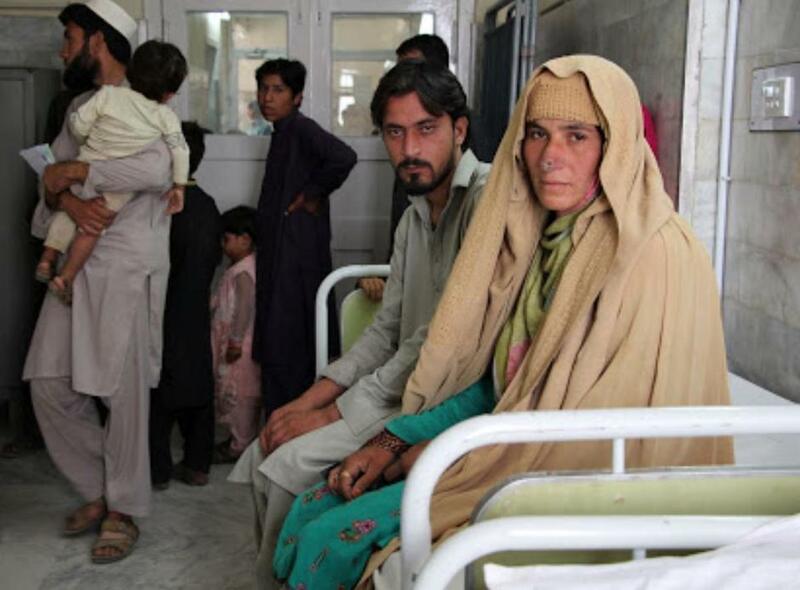 Thanks to the World Bank for providing health services to Afghans. Thanks to you too for delivering its news to us. Over the next two years, 48 midwives and nurses will undergo training to help reduce maternal and child mortality in remote areas.